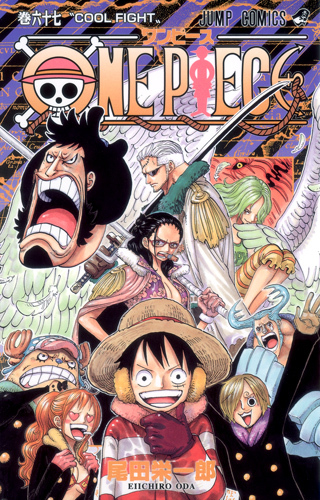 Discussion in 'One Piece Manga' started by FrankyGaon15, Feb 22, 2013. 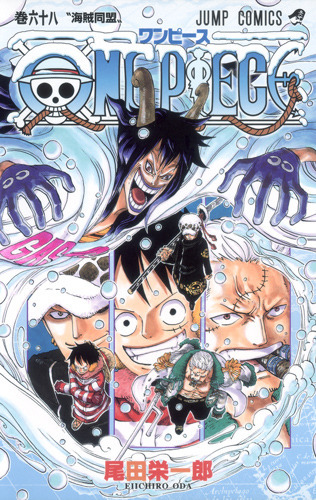 These are the new volume covers for one piece what does everyone think of them. I apologize if volume 66 has already come out in other countries but it hasn't come out yet in England. I also found this from google, it looks like it could be a new volume cover for volume 69. what is everyone's opinions. i bought some, like 4 or 5 volumes. i was going to collect more, but just no place to put it. it seems it comes out on March 4th. I like the third one. And that possible cover for volume 69 is also good. 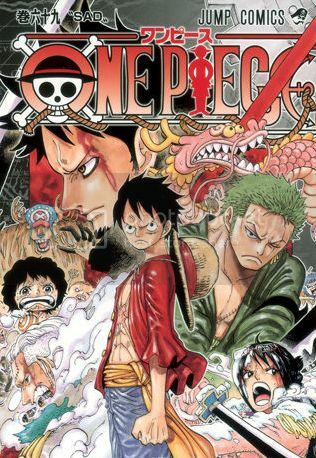 I like the third one too and I hope it the new volume cover shows Law and his crew. It really does look cool. However i would have liked for vergo to be on the cover. there are 11 chapters in vol. 66, 67 and 68.
so i guess it is possible. vol. 70 cover, to be sold on June 4th. sorry about the resolution, waiting for a bigger pic. don't know if that's a vol. cover or whatever but I really like this one. hihi.